You are at your local mall shopping for a sweater for your dad’s birthday. Ever find yourself wishing you had a calculator? How fast can you figure out what 25% off of $52.00 is? Would you make your “decision to purchase” faster if the seller just said “$13.00 off these sweaters today?” Hint: 25% of $52.00 is $13.00! We all know how important “presentation” is in our daily life. Most of us would be willing to pay a little more for the exact same “eggs over easy with ham and hash browns” when it is served on a china plate with stainless utensils as opposed to service on a paper plate with a plastic fork! Same breakfast – different presentation. In his book, Jonah Berger, author of Contagious, explores the subtle ways that the same information in his posting “Fuzzy Math: What Makes Something Seem Like A Good Deal?”, presented differently, can influence consumer purchases. He talks about something called “the Rule of 100” as a marketing concept which basically says that if a product costs less than $100, a “percentage discount” seems larger than a stated “dollar amount” discount. Thus, you might feel better about taking that 25% discount on the sweater for dad – instead of just $13 off! In the book Personal Finance Turning Money Into Wealth, Principle 1: The Best Protection is Knowledge reminds us that advice on personal finance is everywhere. The same concepts are presented to us in different ways and it is important to understand the basics so you can look beyond the presentation in order to protect yourself and reach your financial goals. Principle 9: Mind Games, Your Financial Personality, and your Money explores some of the same ideas that Mr. Berger puts forth in Contagion. We call it “mind games” he calls it “fuzzy math” – either way, if you understand what is going on you can control your reaction and make an informed decision. Your future might depend on it! 1. Mr. Berger’s “Rule of 100” also says that if something is priced “over $100, absolute discounts seem larger than percentage ones.” Do you agree? Think of some examples. 2. Do you find that you make purchase decisions based on: Choice? Emotion? Or Habit? Give an example of each. Graduation is behind you and it’s your first day on the new job. Your boss reminds you to stop in at the benefits department where you will be expected to make decisions regarding health insurance, dental and/or vision insurance, sick leave, vacation days and even retirement benefits! Most of the “insurance and leave type benefits” will be no brainers, but will you be prepared to make a decision about saving for your retirement?? One of your choices might be a 401k plan. 1. Read though the MSN Money article titled “Why Workers are Botching Their 401k Investments” along with the Schwab report “The State of 401k Investing – New Schwab Survey.” What were some of the positive findings in this survey? What were some of the concerns that came out of this survey? Be prepared to discuss this in class. 2. 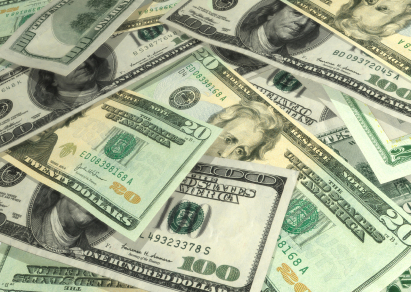 In the Schwab survey, reported in “The State of 401k Investing – New Schwab Survey,” one of the questions asked was if you were given a $5,000 bonus, would you save it in your 401k or take it in cash now? How would you answer that question? How do you think the respondents answered? In Chapter 14 of Personal Finance, Turning Money Into Wealth, there is a section titled “Why Bonds Fluctuate in Value.” In that section we look at the relationship between bond prices and changes in interest rates. There is an inverse relationship between interest rates and bond values in the secondary market: When interest rates rise, bond values drop, and when interest rates drop, bond values rise. As interest rates rise, investors demand a higher return on bonds. If a bond has a fixed coupon interest rate, the only way the bond can increase its return to investors is to drop in value and sell for less. 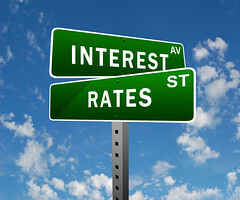 Where are interest rates right now? They’re pretty darn low. While they could creep down a bit more, there’s a lot of range for movement on the upside. This past spring there was a bit of a selloff in bonds as interest rates – what happened? As pointed out in the Wall Street Journal article “Get Ready for the Next Round of Bond Pain,” during this period, the 10-year Treasury bond rate rose by more than one percentage point to just above 2.7%. As a result of this jump in interest rates, long-maturity bond funds lost around 7.5% in value from early May through early July, and that’s even after taking into account interest income from the bonds being held by those funds. 1. In the article “Get Ready for the Next Round of Bond Pain,” there is a figure titled “A Glimpse of the Future” which shows how different bonds fund categories performed between May 2, 2013 and July 5, 2013. Be prepared to discuss why figure looks as it does. Be prepared to discuss this in class. 2. What strategy would you recommend for investors who are holding a lot of bonds? Be prepared to discuss this in class. In Chapter 16 of Personal Finance, Turning Money into Wealth, retirement planning is discussed. In that chapter we discuss defined benefit retirement plans. To say the least they are great, but problems arise if they aren’t fully funded. 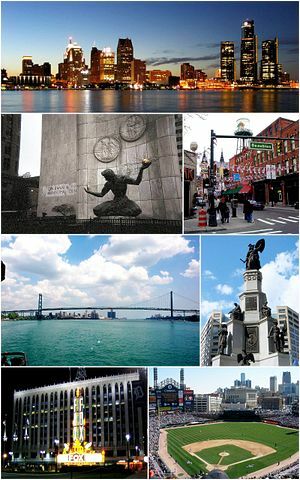 On July 18, Detroit became the largest American city to file for Chapter 9 bankruptcy. Exactly how things will turn out, no one really knows and for the 20,000 plus retired public employees on pensions, it’s a real concern. According to a recent article in MarketWatch, “State and local government workers with traditional pension plans might want to revisit their retirement-income plans in the wake of Detroit’s filing for bankruptcy,” there is a possibility that their pensions could be significantly reduced. All this will probably be determined by the courts – while a federal judge is overseeing Detroit’s bankruptcy proceedings, Michigan’s state constitution states that pension benefits can’t be altered. On July 24, a number of state-court lawsuits brought against the city arguing that the bankruptcy filing was unconstitutional (at the state level) were frozen. So legally, while it may not be possible for Detroit to scale back pensions for fiscal relief, that doesn’t mean there will be smooth sailing – just look at the problems Stockton, CA has experienced as outlined in the Time article “The Wages of Bankruptcy: Stockton’s Cautionary Tale for Detroit.” In the wake of Detroit’s fiscal problems, current and future pension recipients across the country are wondering about the stability and amount of their promised incomes. But not all states have constitutions like Michigan’s. For example, in 2011, Central Falls, RI filed for bankruptcy and was able to reduce pension checks by more than 50% to a third of its retirees. 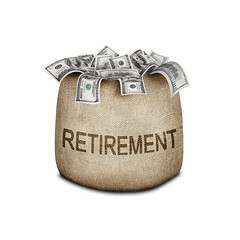 As a result, the average retired firefighter’s annual pension income went from $68,414 to $30,786. 1. Any time there is a bankruptcy someone is going to lose. What do you think should happen to the pensions of retired public employees? Does “making good” on the pensions of retired public employees mean that the other Detroit creditors lose more? 2. In 2008 Polaroid went bankrupt, this resulted in its retirees receiving pension checks courtesy of the federal Pension Benefit Guaranty Corp. (PBGC) – checks that, as reported in the MarketWatch article, “State and local government workers with traditional pension plans might want to revisit their retirement-income plans in the wake of Detroit’s filing for bankruptcy,” represent “a fraction of what they were supposed to receive.” In addition, the biggest multiemployer pension fund in America is that of the Teamsters (the Teamsters’ Central States, Southeast & Southwest Pension Plan) – at the end of 2012 it held $17.8 billion in assets while its liabilities were $34.9 billion. What does all this mean for retirement planning for individuals with pensions? Without question, this is not good news – but what does it mean for you? It means that Principles 1 and 2, The Best Protection is Knowledge and Nothing Happens Without a Plan are the keys to living the good life in retirement. It also means that if you want to avoid this problem during retirement, you’ve got to start planning now. As we saw in Chapter 16 of Personal Finance Turning Money Into Wealth, It means that retirement planning isn’t just about saving and investing for retirement, it’s also about managing your savings in such a way that you will have enough income to last through retirement, regardless of how long you live. In fact, if you take a look at the Retirement Confidence Survey, you see quite a few troubling results. Retirement is something everyone hopes happens, but without planning, it won’t be pretty. While there was a time when Americans didn’t need to worry about retirement planning – retirement meant taking a pension from your employer and letting Social Security pick up any slack – those days are gone. Today, pensions are largely a thing of the past, and early retirement and longer lives have placed an enormous burden on Social Security. Read though the 2013 RCS Fact Sheet #1, Retirement Confidence. Are you surprised by the results? Do you think more or fewer American’s should be concerned? Be prepared to discuss this in class. Read though the 2013 RCS Fact Sheet #1, Retirement Confidence, what do you see in the way of trends dealing with the financial aspects of retirement? Be prepared to discuss this in class. What do you think things will look like in America 30 years from now if this survey holds true and a large percentage of Americans have not saved for retirement? Be prepared to discuss this in class. The downturn in the economy that we are still trying to dig out of did not impact all Americans equally. 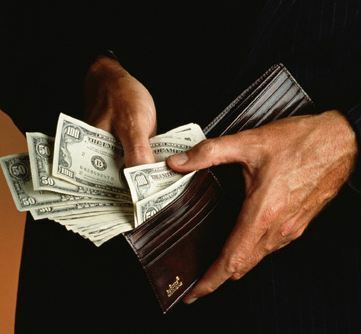 A recent article in the Washington Post titled “As Economy Recovers, the Richest Get Richer, Study Shows” looks at a the results of a recent Pew Research report titled “A Rise in Wealth for the Wealthy; Declines for the Lower 93%, An Uneven Recovery, 2009-2011” showing that not all Americans were impacted equally by the recent downturn. What about the top 7%? The top 7% of households ended up with 63% of the nation’s household wealth in 2011 – which was up from 56% only two years earlier. Moreover, the top 7%, or the 8 million American households who make up wealthiest 7%, saw their average wealth rise from $2.5 million to an estimated $3.2 million. One final way to view the wealth disparity in the United States is the fact that the average wealth of the top 7% of households was almost 24 times that of those in the less affluent group in 2011 – whereas at the start of the recovery in 2009, that ratio was less than 18 to 1. In Personal Finance, Turning Money into Wealth, we really don’t discuss income equality, but it is out there – and it may well have an impact on the tax code in the future – particularly in the tax rates for the wealthy, estate planning, and investment taxes. 1. Do you feel the government should do something to impact this disparity or do you feel that income redistribution should not be a role of the government?